Anyone own one? Thinking about buying one. Sick of having to fix the Polaris. Just curious to hear how owners like them. Dont have an FXT but I a FXR and love it. Same drivetrain just shorter wheelbase than FXT. Its been very reliable & trouble free. Have had mine for a couple years now and love it. Tough as nails and we put it through hell and she's still going strong. Yep, love mine. I’ve had it right at a year now. Hard to beat that 3 year warranty. Do a search on here there’s a few good threads to read through on the FXT. 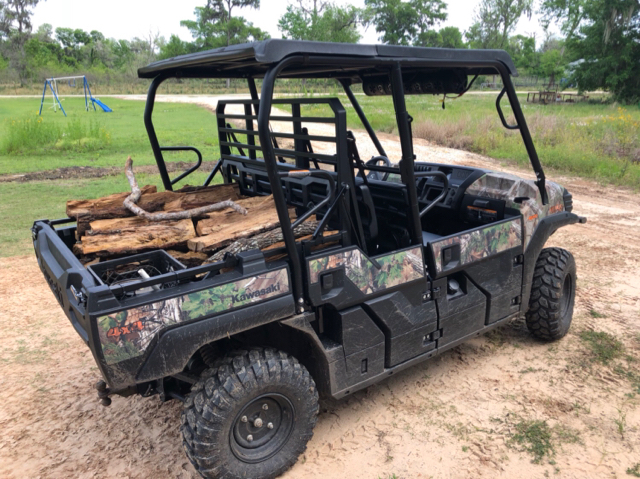 Mine is a 15 and it’s been great, way smoother, quieter and more dependable.. my ranger did nothing but sit in the shop.. the mule tops out at the same as my ranger 800 but takes longer to get there which I don’t care to go that fast or that it would take longer to get there.. we hunt an 18k acre lease and what I care about is getting back to camp.. 3 year warranty says a lot to me too..
Own a mule pro fxt after two rangers. I will look hard at the can ams next. I like my mule. Just hate the bed size and lack of storage space and cup holders. Have a 2015 that I bought from another member on here last spring & love it! Just bought one today lol. Really like it so far. But it's my first SxS. Got it because of all the praise it gets on here. Got an 18 about 8 months ago and it has been the best ranch rig ive ever had. 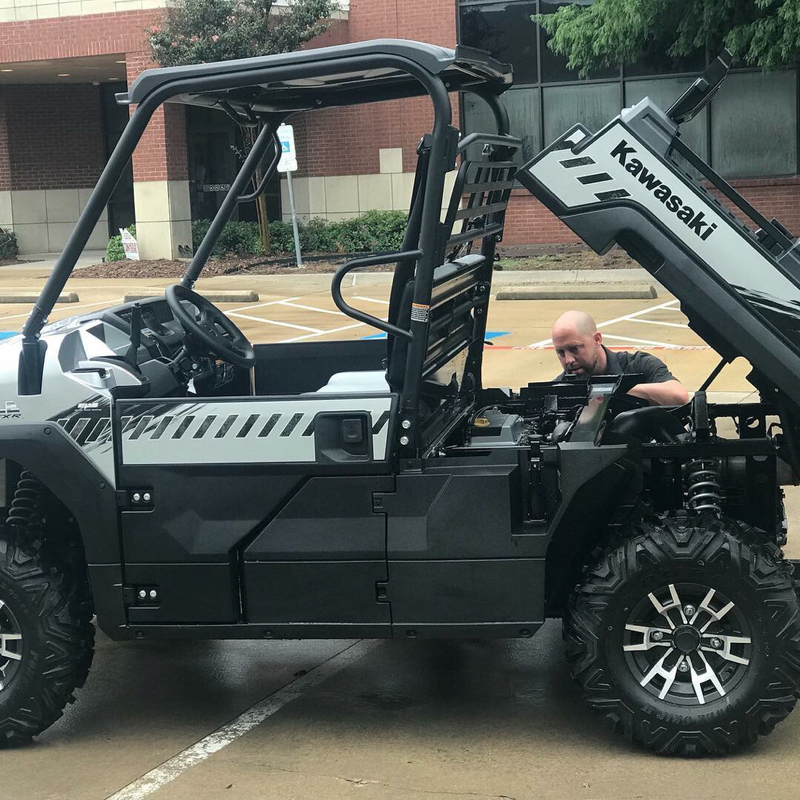 Yea, its a bit slower and heavier feeling, but i didnt buy it to compete with side by sides, its a UTV and is great for its purpose. If youre looking to hot rod, the mule is not your friend. 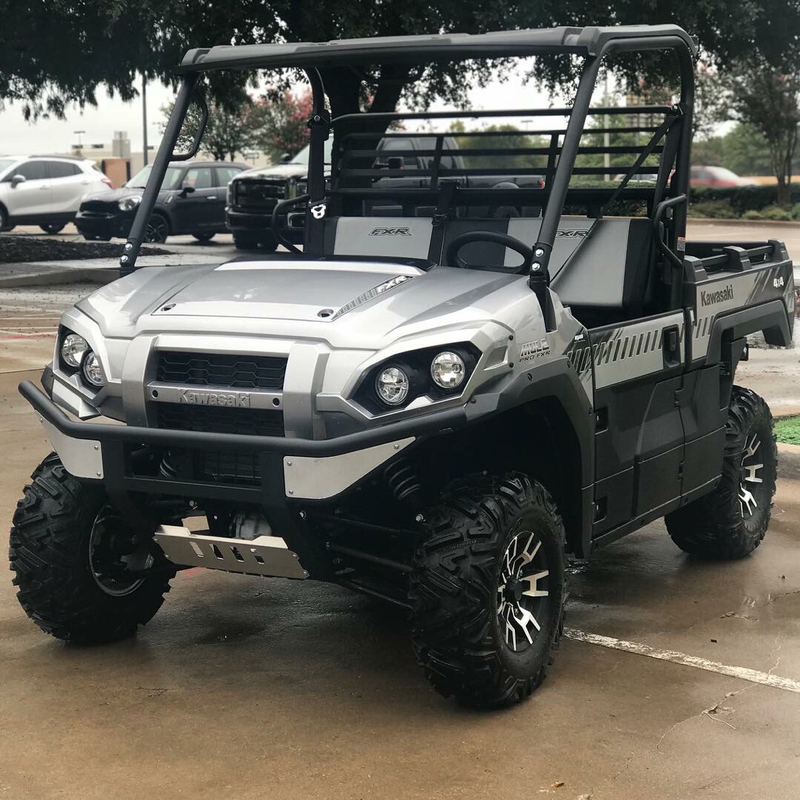 If you want to have a reliable rig that will handle anything you throw at it out on the ranch, get the mule. Rides smooth, is quiet, and never breaks down. The mule has more than enough get up and go even for a young guy like me. I have rarely gotten it above 30, as thats plenty fast for me. Get the mule, you wont be disappointed! If not for you, give the can am a look too. They're sweet, but i like the mule more for what im doing. Last edited by CentexRancher; 09-22-2018 at 10:22 PM. Would not trade mine for the world. Pro Fxt is the greatest riding best utv ever. Don't even think, Just make the switch, We got one and i can't believe the difference. So much more quiet and a better ride. I have a 2015 fxt, use it everyday on my ranch, it is quiet, strong and dependable. Two weeks ago, I had to have a fuel pump replaced on it. Which was done under warranty at the dealership, they said they had never had to replace one before on an fxt. This has been the only issue with the machine in three years. I highly recommend them, two friends that had rangers after riding in my fxt, sold their rangers and got fxts. I bought a 2018 early this summer and have taken it to NM twice in rough country and love it! The dealer told me the Mule is the way to go and he can own any of the major brands. I bought some after market accessories, so if anyone needs a factory roof, I have one for sale $100. The camo pro FXT does not have a roof. I bought the LE edition which does. Does the Mule have a locking front diff? Kawasaki mules are definitely hard to beat. 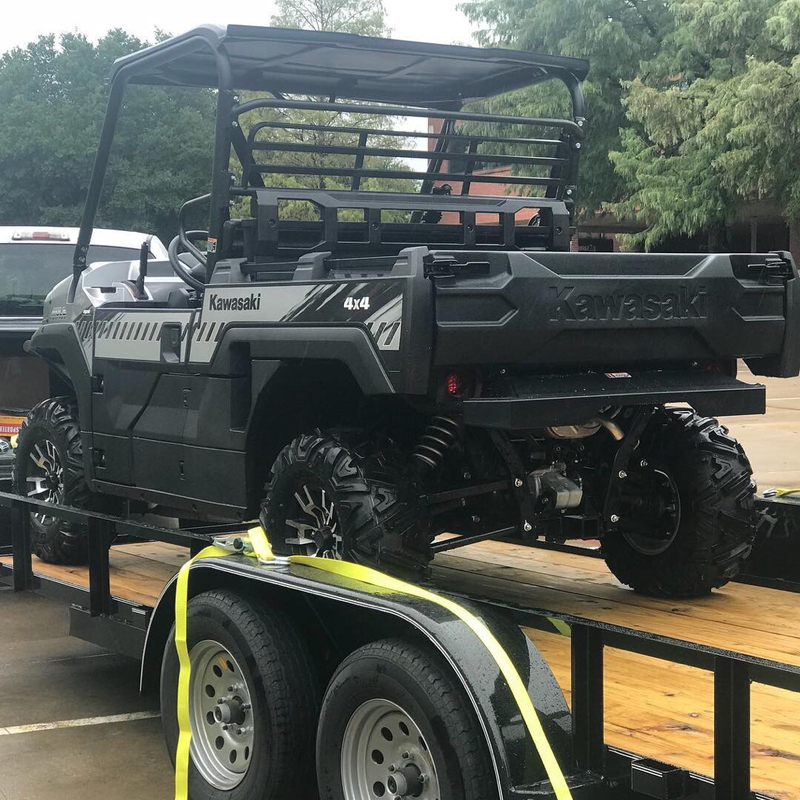 If you are looking for something to take to the mud parks, with 14” lift and 147” tires, or put a turbo on it and hit 100mph........get a Polaris. If you need something to do WORK, get the mule. Like said above, it’s not a speed demon, and there’s not a world of aftermarket parts for it. But it’s tough, dependable, quiet and dadgum SMOOOOOTH!!! Are the beds that small on all of them or are there different ones with larger? Have one of each. Mule all the way. Have a 2015 Pro Fxt they are not real good in mud. Only problem I had was getting stuck several times do to low ground clearance and not enough power. Yes, I can fix the ground clearance but not the lack of power. Well as far as I know. Maybe they will come up with something for the 1st models of the pro. Heard new model have more power and a better ground clearance. Mine also squeaks like crazy and gets on my nerves. Several points on the bed and rear seat are metal on metal in certain positions and will drive you crazy. I’ve use mine. Thought about selling and trying a Can-Am. But a lift and winch would be cheaper. It’s is smooth and the engine is quiet as stated. I have a 2017 model and it has plenty power with 3 inch lift and 31 inch tires, cannot imagine getting stuck. We had had our camo fit for just over a year. It is a way better machine than my crew ranger. Everyone that rides in it comments about how smooth and quiet it is. My parents have one and I have tried getting it stuck before and never have been able. I’ve never gone through some stuff that y’all have probably gone through but muddy creeks haven’t been a problem for me, even in 2 wd high. As for speed, y’all must be a bunch a speed demons, after 30 I call it quits on most roads anyways. Not to hijack but does not having a locking front differential make that much difference? Ive been looking and really like the Mule but this is holding me up. Would 29.5s fit with no lift? I do not know, I think they would rub, you can get on one of the kawasaki ATV forums and probably find out everything you need to know. They have the contoured seats as well. The FXR I bought on Saturday has contoured seats. Man, I bought mine on Saturday (FXR) and got to test drive it first. It was one smooth machine. The salesman drive it over a curb to show us how we would barely feel it and man I was surprised. This is my first sxs but it is dang quiet and beyond smooth. Not a speed demon, but I didn’t buy it for that reason. I actually like the seats, they are pretty comfortable and allow for easy entry/exit. I find myself getting in and out about 10 million times a ride and love the bench seat for doing so. 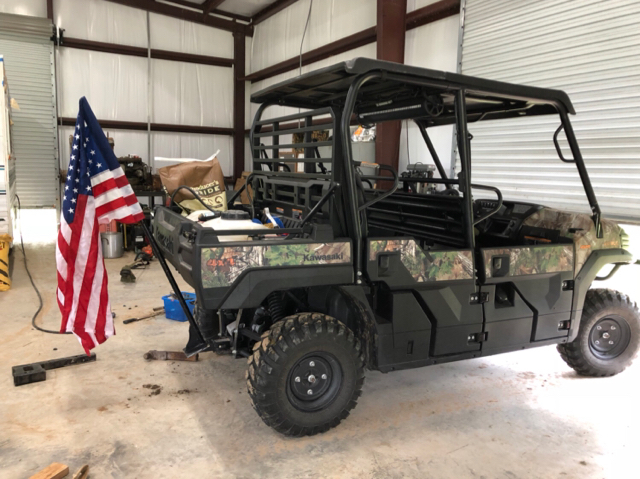 I could see where if youre just cruising, bucket seats would be sweet, but i like the bench seat for using the mule around the ranch. I converted from a ranger also. Very happy, no issues.